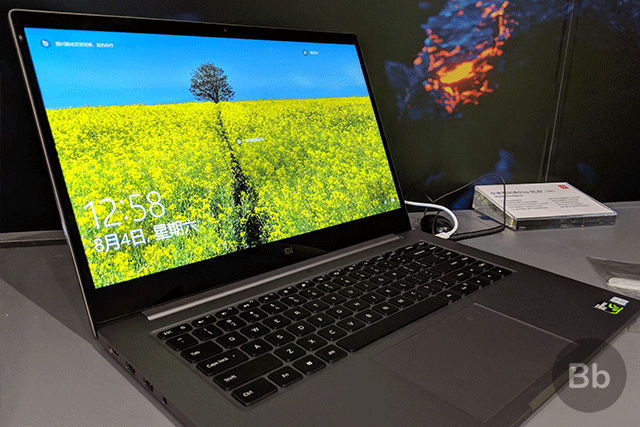 We are at ChinaJoy 2018 and while there’s a lot of exciting gaming-related announcements here, the headlines have been grabbed by Xiaomi with the revamped PC line-up and a focus on gaming notebooks. 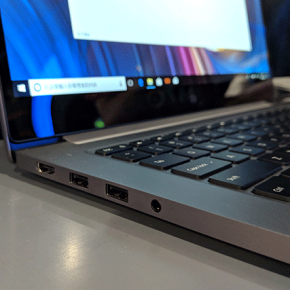 The company announced the Mi Notebook Pro GTX model at the event and we spent some time with the laptop on the show floor. 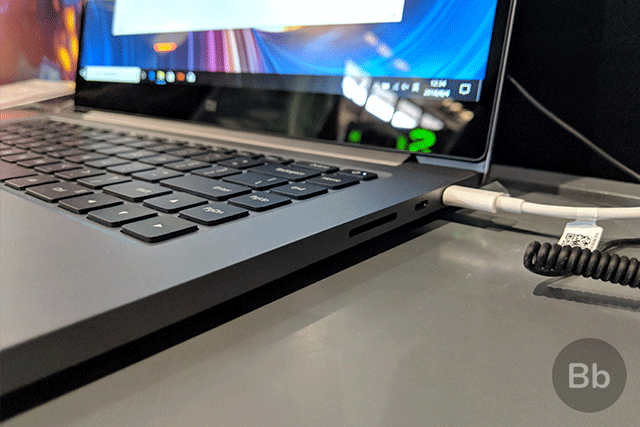 First thing to notice is it’s pretty much the same as the Mi Notebook Pro from last year, and it still very much emulates the look and feel of a MacBook Pro. 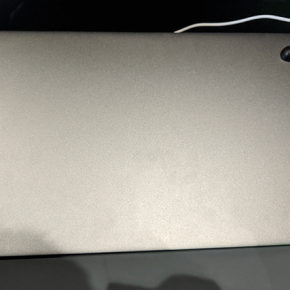 There’s no branding anywhere except on the bottom bezel of the screen, which is gigantic. 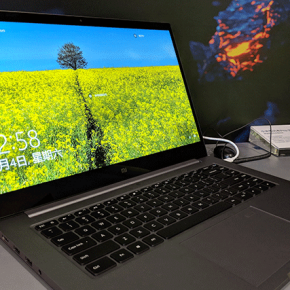 The display looks pretty much the same (we couldn’t run any screen tests on the unit on the show floor) so it can get quite bright and while I couldn’t use it outside, it does look like sunlight visibility shouldn’t be a problem, if it’s the same display as the last-gen model. 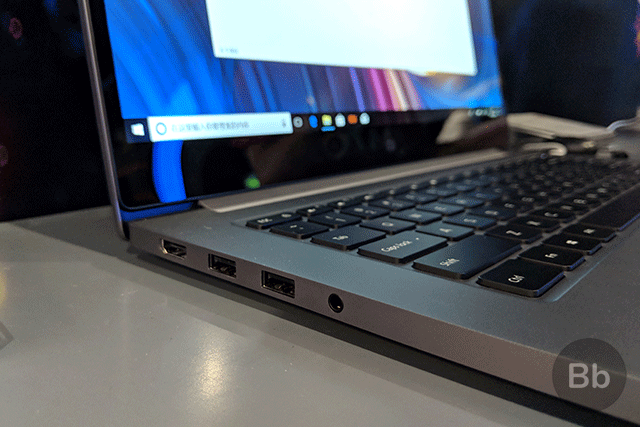 The keyboard has quite a bit of travel, and typing for the 10-15 minutes that I used it was a pretty great experience. 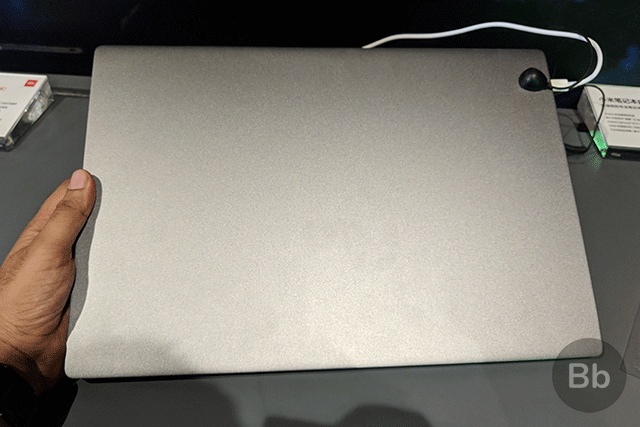 The trackpad is huge, as one would expect since it’s basically a Macbook Pro from Xiaomi, and it has a fingerprint scanner in the top right corner. 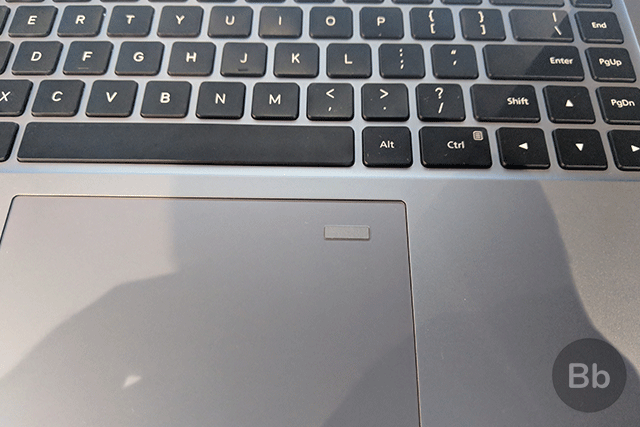 I did notice the same issues with the cursor movement not being as smooth when you reach the corner with the fingerprint scanner as I did when using last year’s Mi Notebook Air that we tested. 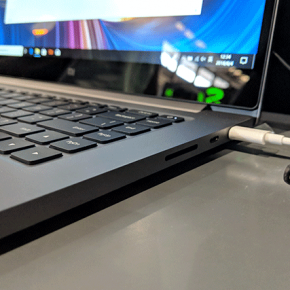 You also get the regular ports including an SD card slot (something which not a lot of thin laptops go for these days), there are two USB Type-A ports for connecting devices on the left, an HDMI on the left, and two USB 3.0 Type-C ports on the right alongside a headphone jack. 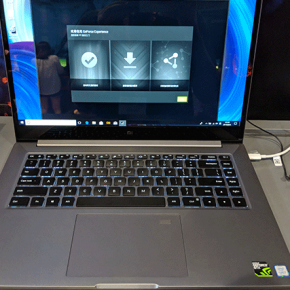 Since it packs a GTX 1050, gaming performance should be improved in comparison to the last-gen model, although the Max-Q design GPU (due to the thin form factor) will obviously not be as powerful as a regular 1050 that you might find in a full gaming laptop. 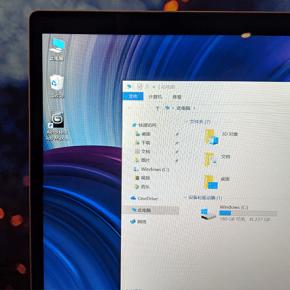 I tried the Intel Core i5-8250U model and it works pretty damn fast as you’d expect from a laptop with these specs. 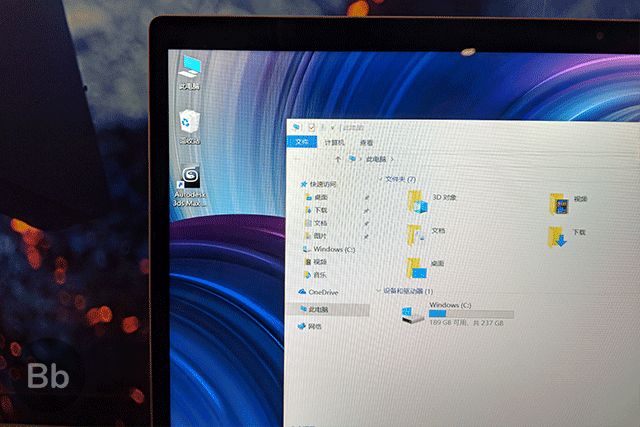 There’s 8 gigs of RAM on board so I can safely say that games like PUBG and Fortnite won’t be any issue. We tried running some benchmarking software but couldn’t install them in the brief time we had with the laptops. 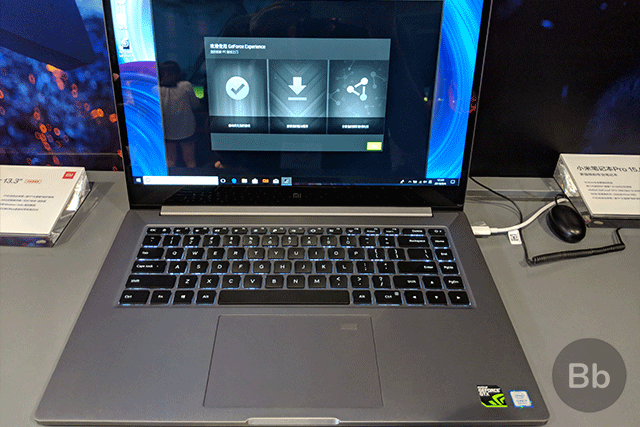 We are particularly interested in seeing whether this machine has enough graphics power to be used as a gaming laptop. Stay tuned to find out more.